At last, it's the eve of Election Day, and both Hillary Clinton and Donald Trump are paying last minute visits to the great state of Pennsylvania, and for good reason. Pennsylvania is a swing state in this year's presidential election. And despite its not having backed a Republican nominee since 1988, shifting demographics make it so that the state could go either way. As Nate Silver of FiveThirtyEight explained back in May, Pennsylvania is a land divided between the increasingly Democrat Philadelphia area and the increasingly Republican rest of Pennsylvania, which includes rural areas and Rust Belt cities and towns. 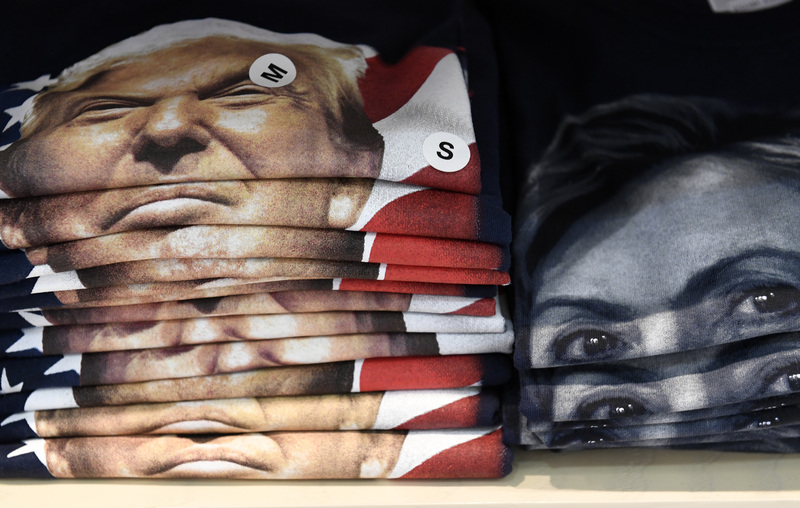 Understandably, both Trump and Clinton made the state a focus as Election Day loomed. Winning Pennsylvania and its 20 electoral votes is critical for either candidate to reach and surpass the 270 votes required to win. Nearly all current polls predict that Clinton will surge ahead to win Pennsylvania. Trump could still flip the blue-leaning state, however, by appealing to white voters in rural areas and Rust Belt cities. So far, it seems he is doing a good job. Trump is polling high in Western Pennsylvania where, according to a Monmouth University poll, he is leading 54 percent to Clinton's 38 percent. Nevertheless, history is on Clinton's side; the past six elections have shown that whomever wins Pennsylvania's biggest city usually wins the whole state. And if the Monmouth polls are accurate, voters in the city of brotherly love and its suburbs are going hard for Clinton, with her polling at a strong 62 percent to Trump's 29 in those areas. Nothing is for sure, however. RealClearPolitics reclassified Pennsylvania as a "toss-up" state on Nov. 2, due to how closely the presidential rivals are polling. Less than three percentage points separate them according to RealClearPolitics poll averages, the closest they have polled since The Washington Post released the Access Hollywood footage of Trump early in October. Additionally, any last-minute hiccups, such as the "poll monitoring" effort Trump has called for in Philadelphia or another in the seemingly endless string of surprise controversies this election has provided, could have very real effects across the entire state, where there is no early voting. Despite all the debate and worry, Pennsylvania and its electoral college have sparked this election season, we predict that Clinton's popularity amongst white women, African American, and Latino voters all over the state, but especially in and around Philadelphia, will push her over the edge to win this coveted swing state.